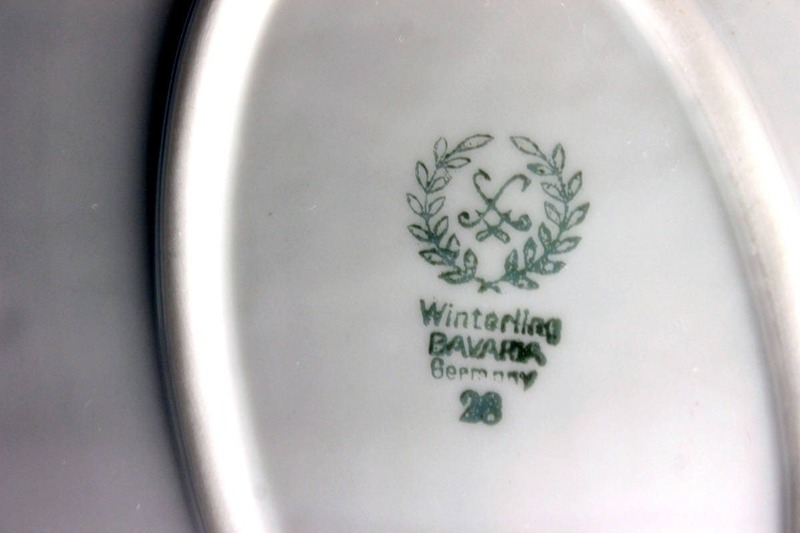 A charming platter by Winterling Bavaria. This was made in Germany. The pattern consists of a floral rose in gray, pink, and yellow with gold trim. 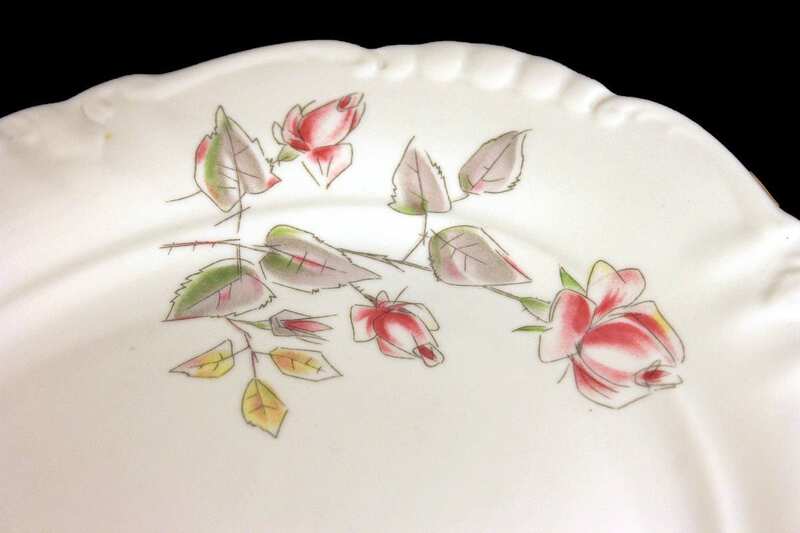 This beautiful platter will brighten a buffet table or make a dinner table statement. 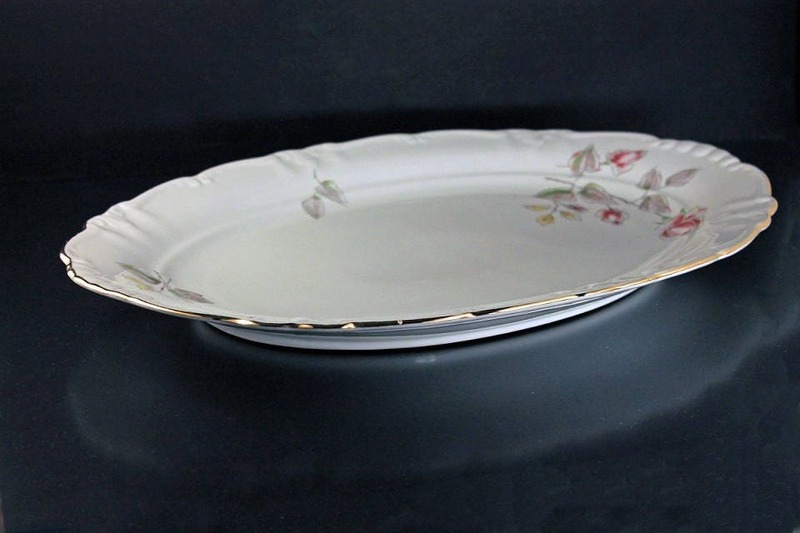 An elegant and versatile platter with the grace from a bygone age. 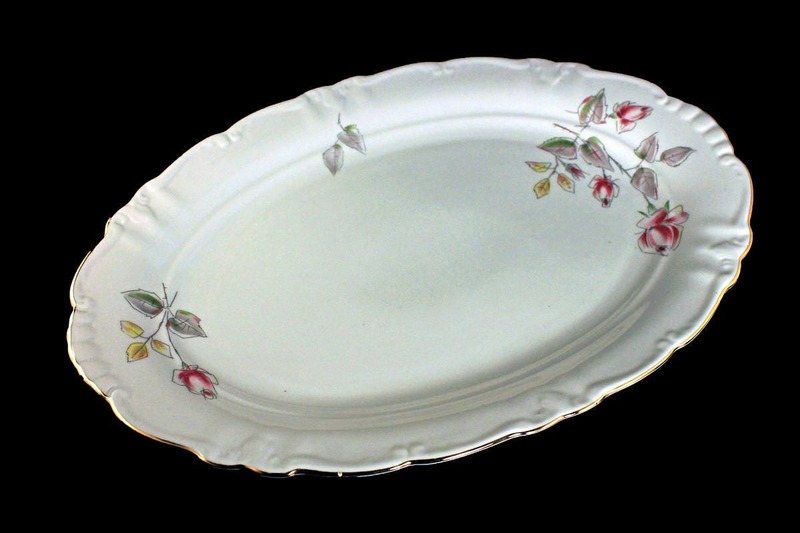 A wonderful serving platter or as a display piece. The platter is in excellent condition. It has no chips, cracks, or crazing. There is very little rubbing to the gold edge. 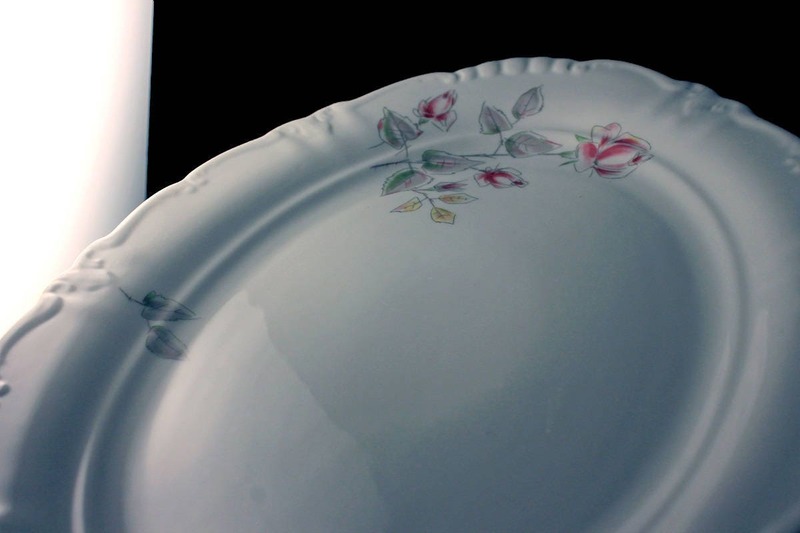 This is a used platter so there are a few utensil marks. This would make a great wedding shower, wedding, hostess, or housewarming gift. Treat yourself to these and entertain in style.